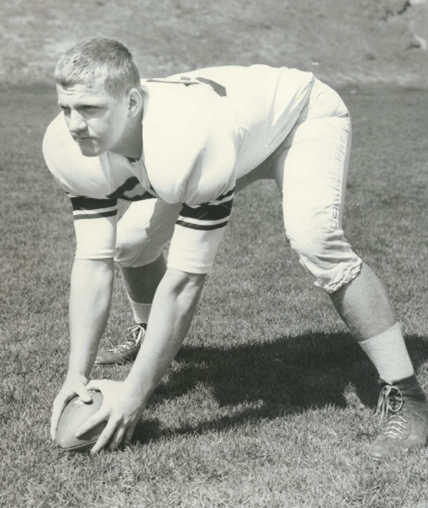 Pat is a 1962 graduate of Watertown High School where he was a standout football player. He then went onto Syracuse University where he was 2 time All American. Killorin was voted in a poll as SU's top center of the first 100 years of football. In 1966 he was selected to play in the East West Shrine Game as well as the College All Star Game. After his college career, he was drafted by both the NFL and the AFL. He was a 3rd Round selection by the Pittsburgh Steelers and was selected by the Miami Dolphins of the AFL. He signed with the Steelers and played one season (5 games) before his career was shortened by knee injuries. Pat returned to the North Country where he was a player and coach of the semi pro Watertown Red and Black from 1968-1973. He was also an assistant coach under Tom LaDuke at IHC in 1970 during the school’s undefeated season. Killorin is an inductee in the Watertown Red and Black Hall of Fame and the AFA Semi Pro Football Hall of Fame. Pat was VP of Syracuse Key Maintenance Products from 1971-1985. He was CEO of Patco Management Systems, Inc. from 1985 until sold in 2014. Pat is President of SU Football Club and a SU Varsity Club Lifetime member. He resides in Baldwinsville with his wife Michelin "Mike". The North Country Sports Hall Of Fame is proud to welcome Pat as part of it's inaugural class.